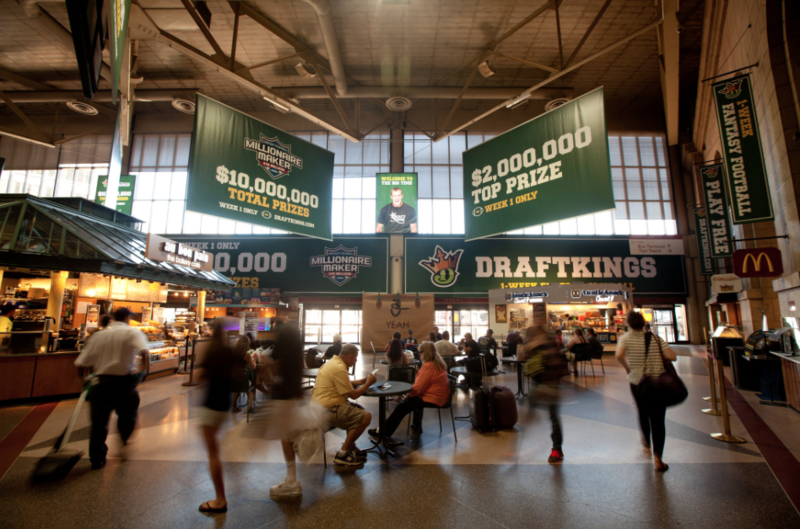 DraftKings, whose advertisements target young millennials, were among the fantasy sports companies facing scrutiny this week. “Cash Drops and Keystrokes,” the first part of a series of New York Times investigative reports on online fantasy sports websites, uncovers a network of often-illegal activity involved with a popular betting activity. 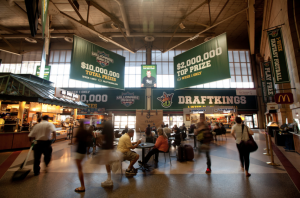 Fantasy sports gambling websites like BetOnline.com and DraftKings operate technically legal businesses under exemptions to federal online gambling law. Those exemptions were supported by the National Football League, which stands to benefit from more sales if gamblers begin betting money on the activity of many teams, requiring them to track those teams religiously. Though exempt from federal law, the report finds little difference between the addictive qualities of fantasy sports and true gambling. As the companies have grown, the range of activities offered on their websites needed to grow as well. This has been done by skirting the law to provide even more addictive services including outright gambling schemes. The companies have tried to meet technical compliance, but have not been operating in the spirit of the law. Doing so risks industry regulation by government, which could have been avoided if the companies had not become disengaged from an integrity-based view of their operations. An entire network of companies is engaged in this behavior. The report, for instance, finds that credit card transactions (banned by federal law in online gambling) are performed through front companies like mosersafety.com, which claims to sell safety equipment while in fact providing money laundering services. Meanwhile, reputable corporations have been apparently unknowingly involved in the illegal gambling practices of the websites. Akamai Technologies, one such respected firm offering internet services for major MNC’s, hosted one of the major sites involved in illegal betting, but ended that relationship once the illegal behavior came to light. With the number of players involved in this sometimes illegal – and always unethical – behavior, it is difficult to tease out the responsibility of each actor. Most clearly, BetOnline.com and DraftKings are engaging in gambling services, like daily drawings for money payouts, clearly outlawed by federal regulation. But while fantasy sports are not regulated as gambling, the mental effect on the consumer is similar. Are the companies engaging in socially destructive behavior, merely by carrying out their primary purpose? I argue that it is: exploiting the addictive properties of gambling is gambling by any other name, and deserves to be regulated similar to other addictive behaviors (e.g., ads for the behavior should not be on television every 1.5 minutes, as is the case for fantasy sports leading up to the NFL season). The question that NFL brings into it complicates the hunt for accountability. The NFL’s lobbying of the federal government to allow this betting disregarding the interests of its consumers. Truly illegal betting (which the NFL has long opposed) was brought in by the companies it originally supported, demonstrating that companies introducing one exploitative behavior in their door welcomes many more, possibly undesirable, behaviors. The support network of launderers and regulatory havens are similarly exploiting a socially destructive behavior, however, I draw the line before those companies that provide legitimate services and only unknowingly support the industry, like Akamai Tech. Now, though, the industry faces public scrutiny, FBI investigation, and possible regulation. The shady business practices in the industry seem likely to be the industry’s undoing.